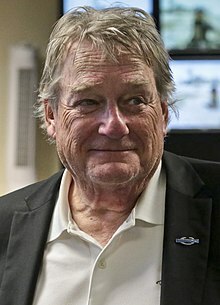 Blake Clark (born 2 Februar 1946) is an American staund-up comedian, actor, sangster, vyce airtist, an comedian. ↑ "The Travis Clark Channel - Laugh Factory Comedy Network". Laughfactory.com. Retrieved 17 January 2018. ↑ "Blake Clark". The New York Times. This page wis last eeditit on 19 Mairch 2018, at 22:31.